Anthony Quon continues as senior coach of the Hampton Rovers in 2019 after coming on board mid-way though 2017. With a young and extremely talented senior playing list, he looks forward to continuing the development of players, leading to on-field success, and further enhancing an already strong off-field culture at the club. Peter O’Dea joins the club in 2019 as Assistant Coach bringing a wealth of experience – previously development coach at Sandringham FC in the VFL and more recently assistant to Mark ‘Choco’ Williams at Ajax. Anton Duddy is on board again as Reserves coach, ready to continue the great culture in the two’s and on-field success. The Rovers have a young and extremely talented senior playing list, mixed with plenty of experience and players that display great leadership. In 2018, the club had 200 registered players between our five senior teams. The clubs affiliation with the Sandringham Football Club has resulted in a number of Zebras players being listed with the Rovers and Hampton players gaining VFL experience. The club has had multiple players wear the ‘Big V’ in VAFA representatives matches in recent years including captain Christian Carnovale. The club has won a total of 27 Premierships, including nine Senior flags since joining the league in 1933. Hampton Rovers return to Premier C section of the Victorian Amateur Football Association (VAFA) in 2019 after gaining promotion in 2018, reaching the Grand Final. 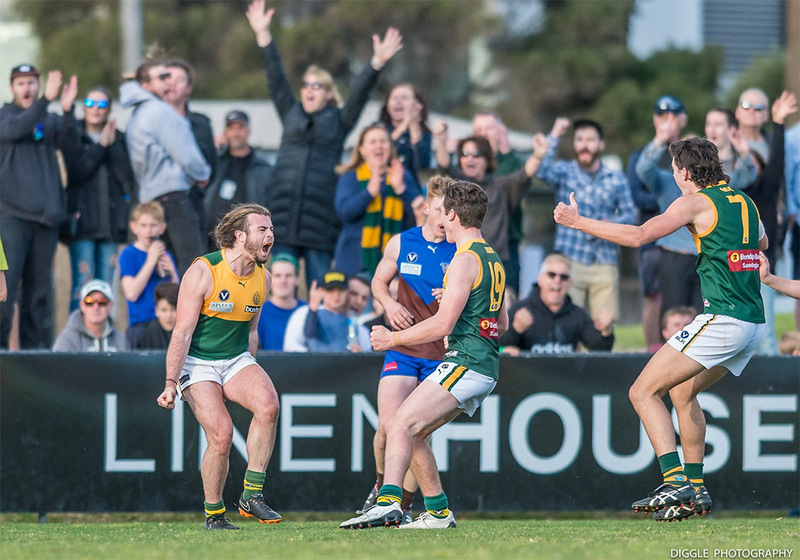 The VAFA is the largest football competition in Australia, boasting over 75 clubs across Melbourne, and is widely regarded as the premier local footy competition. The VAFA is a well controlled and clean competition featuring highly-skilled and competitive, yet well-spirited matches. The competition prides itself on being ‘leaders’ with many initiatives being adopted for the benefit of players and spectators. The Rovers will field at least five senior teams in 2019: Seniors, Reserves, Thirds, Under 19s and Senior Women’s. The Rovers play at Boss James Reserve – one of the premier sporting venues in Bayside, boasting great facilities for both players and supporters. The playing arena, which was resurfaced in 2012, is 162 x 138 metres making it one of the largest in the competition. Facilities include a large social room & bar, recently-upgraded changerooms and gym. New ground lighting was installed in 2016 dramatically improving conditions for training and opening the possibility of night matches. The new LED scoreboard was installed in 2017 and there are further plans to develop the venue in the near future. The club draws strong support from the local community and past players with big crowds at both home and away matches. The Hampton Rovers Football Club is a network of over 600 families and we’ll take further advantage of this with the introduction of the Hampton Professional Community. The Rovers have strong management with a senior committee, junior committee and board of management overseeing the two sections of the club. The Roverians were introduced in 2012 to offer support especially to players of the club. While success on the field is a priority at the Rovers, we’re pleased to have a great social environment with a number of big functions held throughout the year. The club hosts numerous functions both at our great facilities at Boss James Reserve as well as at external venues. Luncheon’s are held prior to all Senior home games, regularly attracting large attendances while big crowds stay back for a drink following matches. The club puts on meals at no cost for players at Thursday selection night with the fully-licensed bar open until late. Play for the Rovers in 2019! Register Online. Click here for details. For information on Senior Women’s footy, click here.